Hours of Operation: Monday, 12:30 p.m. - 4:30 p.m. | Tuesday - Thursday, 9:30 a.m. - 4:30 p.m. | Saturday, 9:30 a.m. - 1:30 p.m.
Heart-Centered Resolution Therapy is a combination of talk therapy, hypnotherapy, and energy work. This work will get to the core of the beliefs that have you blocked. I invite you to watch the short video below, subscribe to the site, and watch more videos to become more acquainted with this gentle evidence-based practice for helping you heal from a variety of conditions such as mood disorders, adjustment disorders, complicated grief, and trauma. This is a valuable tool to help you remove barriers to living the life you were born to live and celebrate. 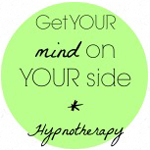 My hypnotherapy training is with The Wellness Institute. It is an NBCC-approved continuing education provider (ACEP) and may offer NBCC-approved clock hours for events that meet NBCC requirements. The ACEP solely is responsible for all aspects of the program. The program provider is number 5460 and is approved for 60 clock hours.